Hello, all! Wow, it's been awhile, hasn't it! I've been so busy with work and the holidays the past two weeks that I haven't had a chance to take care of anything blog related aside from my few recurring responsibilities. 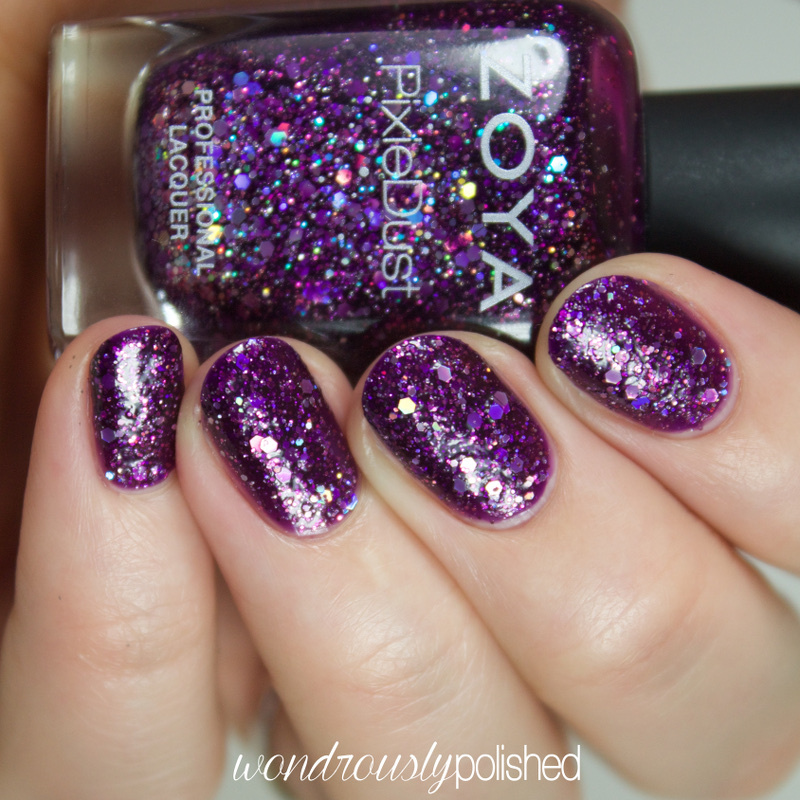 I finally have swatches of the Zoya Wishes Holiday 2014 collection to share with you all! I think everyone has seen this collection by now, but since Zoya recently announced that they will no longer be making their PixieDust polishes after this collection, I thought it was a great time share them in case people are in the market for a few more before they're gone for good. We'll start of with the traditional finishes. Prim is an iris metallic blue that was such a pleasant surprise to me! I'm not usually one for finishes like this, but I really fell in love with this one. Shown is 2 coats. Haven is a striking shimmery plum that doesn't feel especially unique, but if you don't have something like it in your collection already, this would be a great addition to your collection. Shown is 2 coats. Willa is by far my favorite of this collection because who doesn't love a phenomenal black creme!? No one, that's who. This is opaque in just 2 easy coats and I'm so smitten with this one. It's been living on my desk as I use it regularly. Up next are the PixieDusts. I'm actually really bummed to hear that they are discontinuing this finish. I quite like all the PixieDusts that I own and I think they're a great staple polish. I do think the ultra PDs that have been released lately aren't as nice as the originals (they don't dry to the same matte finish that I like), but these are still quite eye catching and fun to wear. 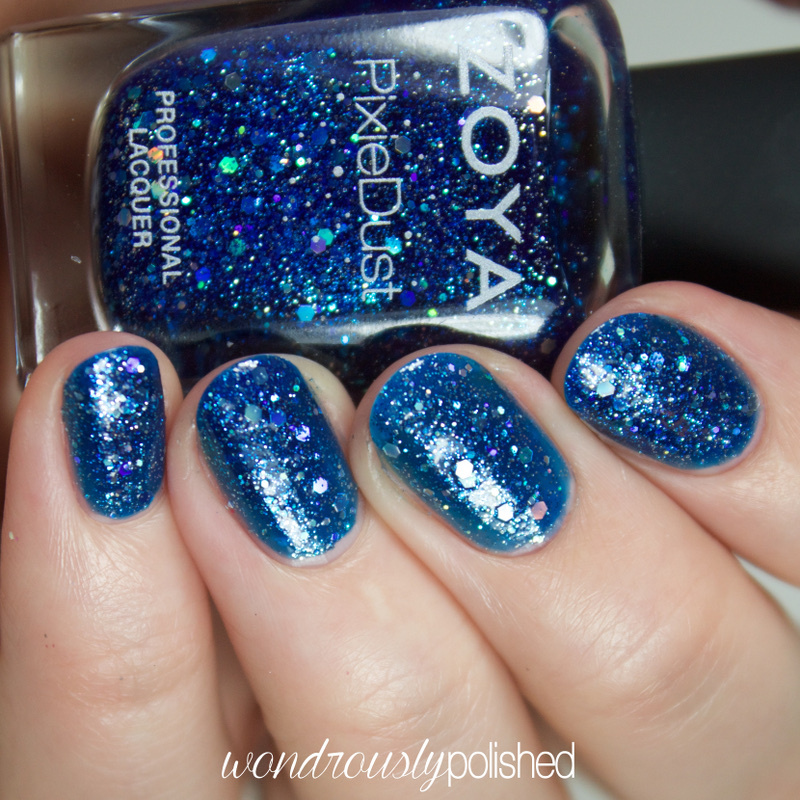 Nori is a sapphire blue with holographic hex glitter which I think can be worn year round. It's a fun shade! Shown is 2 coats, though I should have done another I think. Thea is a lovely amethyst PixieDust with holographic hex glitter like the other two shades. I like this color quite a bit and while it's similar in color to the PixieDust Carter, this is a much deeper and duster shade. I like it quite a bit! Shown is 2 coats. Finally, we have the lovely Imogen. Packed with tons of holographic hex glitters, this dries to an almost charcoal shade which I wasn't fully expecting, but don't necessarily mind. Overall, I think this is a nice winter collection and I think there are a few nice unique shades in here. I especially liked Prim, Imogen and Willa. 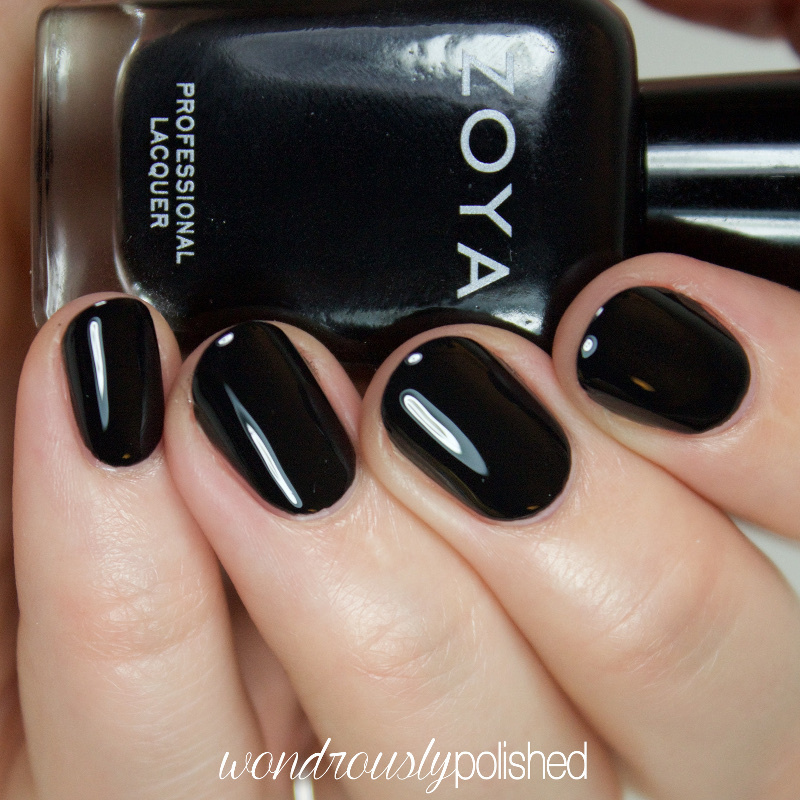 You can purchase these polishes individually or as a set directly from the Zoya website. And don't miss out on your chance to get your favorite PixieDust shade (or that lemming you've had your eye on for awhile!). Be sure to follow Zoya on your favorite social media site to stay up to date with the latest promotions and sales (they have LOTS of promos). As an aside, something exciting has happened in the last few days! I've created a bookclub for polish lovers! I'm calling it the Polished Bookworms and each month we're voting on a book to read as a group. 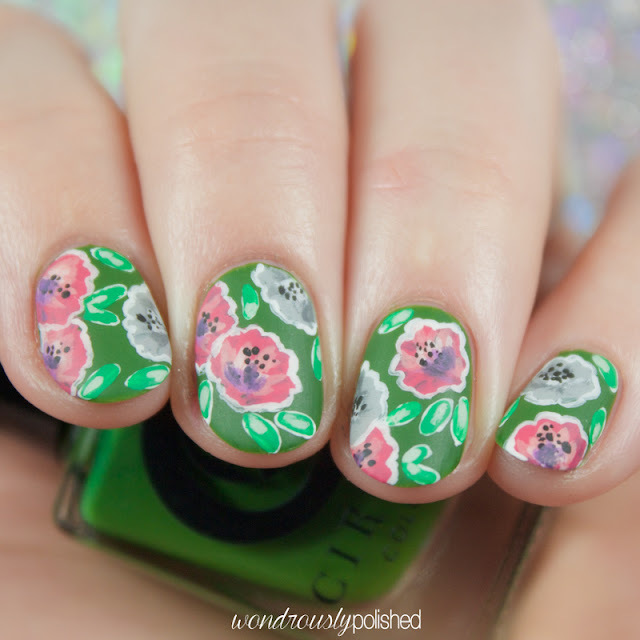 We'll then discuss the book and then do nail art or a manicure inspired by the book! 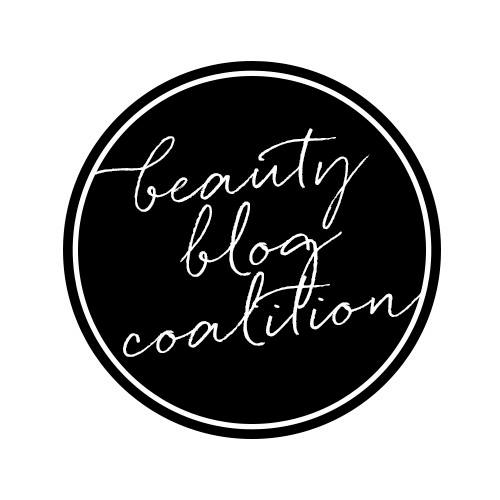 I'm very excited about it :) If you'd like to join, feel free to ask to join facebook group here. Do you have a favorite shade in this collection? How bummed (or not) are you about the discontinuing of the PixieDusts? Did you have a go to shade from any of the other PDs?